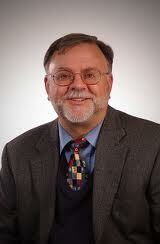 Michael Spath is the Founder and Executive Director of Indiana Center for Middle East Peace based in Fort Wayne, IN. He holds a PhD in Historical Theology, with an emphasis in Islam and Muslim-Christian Relations, and a Doctor of Ministry degree in New Testament. His academic interests include Religions of the East, Abrahamic Religions, Religion and Women, Peace Studies, Religion and Violence, and Evolutionary Psychology. He currently serves as the Co-chair of the Board of Directors for Friends of Sabeel North America, the Christian voice for Palestine in the US, on the board of the Israeli Committee Against House Demolitions-USA (ICAHD-USA), and as a member of the United Church of Christ Palestine-Israel Network. Until 2014, he served as Theologian-in-Residence at First Presbyterian Church, Fort Wayne, IN. Dr. Spath was a Fulbright Graduate Scholar and National Security Education Program Graduate Fellow (1998-99) at the Royal Institute for Inter-Faith Studies, in Amman, Jordan, where he served as a researcher and speechwriter for HRH Prince El Hasan bin Talal, King Hussein’s brother. He has made eight research trips to Turkey studying Sufi ritual, art, literature, and spirituality, and also participated in the Bethsaida Excavations Project archaeological dig on the Sea of Galilee (2000). Dr. Spath has also traveled throughout the Middle East, with over 25 research and work trips to Palestine and Israel, where he also leads “solidarity tours” in which participants meet with Jewish, Christian and Muslim religious, political and NGO leaders committed to conflict resolution, non-violent resistance and social transformation. Michael was a founder and leader of the Mayor’s Commission on Inter-Faith Understanding, Fort Wayne, IN and the St. Louis World Religions Dialogue (1979-95), and was co-founder of Confluence: Fort Wayne Interfaith Dialogue. He served on the Planning Committee of the St. Louis Holocaust Museum and Learning Center (1992-95), and is past Board Chair of the Fort Wayne Urban League. In 1993, he hosted H. H., the Dalai Lama for the Inter-Faith Service of Prayer for Peace, in St. Louis (which included leaders of fourteen other world's religions). And in 2008, he served as Master of Ceremonies and Keynote Speaker at An Inter-Faith Prayer for Human Rights, commemorating the 60th anniversary of the United Nations Universal Declaration of Human Rights. A popular preacher and teacher, Michael has received a number of awards for his community service, including: the Punjabi Cultural Society Partnership Award (2012), the Associated Churches of Fort Wayne & Allen County Ecumenical Service Award (2010), and the Muslim Alliance of Indiana Community Engagement Award (2015). He is a member of Phi Beta Kappa and Alpha Sigma Nu, the Jesuit National Honor Society. Michael and his wife, Mary, are members of Plymouth Congregational Church, United Church of Christ, Fort Wayne, IN. They have three children and six grandchildren.